Twelve-year-old Iris has been sent to Spain on a mission: to make sure her elderly and unusual aunt, Ursula, leaves her fortune - and her sprawling estate - to Iris’s scheming parents. But from the moment Iris arrives at Bosque de Nubes, she realises something isn’t quite right. There is an odd feeling around the house, where time moves slowly and Iris’s eyes play tricks on her. While outside, in the wild and untamed forest, a mysterious animal moves through the shadows. Just what is Aunt Ursula hiding? But when Iris discovers a painting named Iris and the Tiger, she sets out to uncover the animal’s real identity - putting her life in terrible danger. 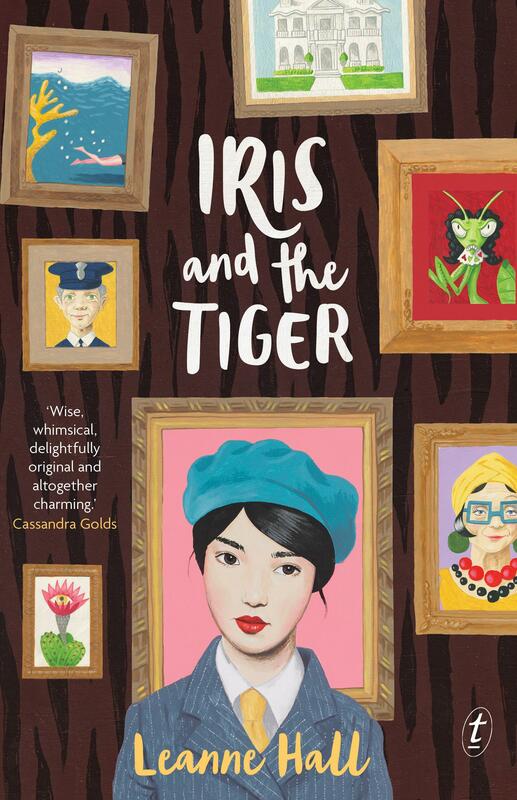 Iris and the Tiger has all the hallmarks of a classic children’s novel – a reclusive relative, a labyrinthine house peopled with mysterious characters, secrets, quests, and impossible creatures, but the story itself is firmly grounded in the modern world. Iris is a sensible and pragmatic twelve-year-old; capable of faking a mobile phone drop-out to busy-body parents and not naive enough to think that she’s been sent to stay with her Great Aunt Ursula for any other reason than to spy and report back to her avaricious mother and father. But when Iris arrives at the grand estate Bosque de Nubes any intention of fulfilling her mission to maneuver herself into prime inheritance position disappears when she’s confronted by a world that seems to have sprung fully formed from the Surrealist movement. Perhaps Great Aunt Ursula isn’t the doddery old biddy that Iris was led to expect, but a spirited (if eccentric) matriarch who holds dominion over an enchanted world full of carnivorous cars, suit-wearing praying mantises, ensorcelled boots, and the magnificent, mysterious, missing tiger. But Bosque De Nubes is under threat from outside developers who want to strip the magic from the land and turn the forest into a Surrealist theme park, and Iris is left wondering how she and her new friend Jordi can help save a place she’s come to love when she’s there with an ulterior motive of her own. Iris and the Tiger is a great adventure novel that will appeal to kids aged 10 and up.